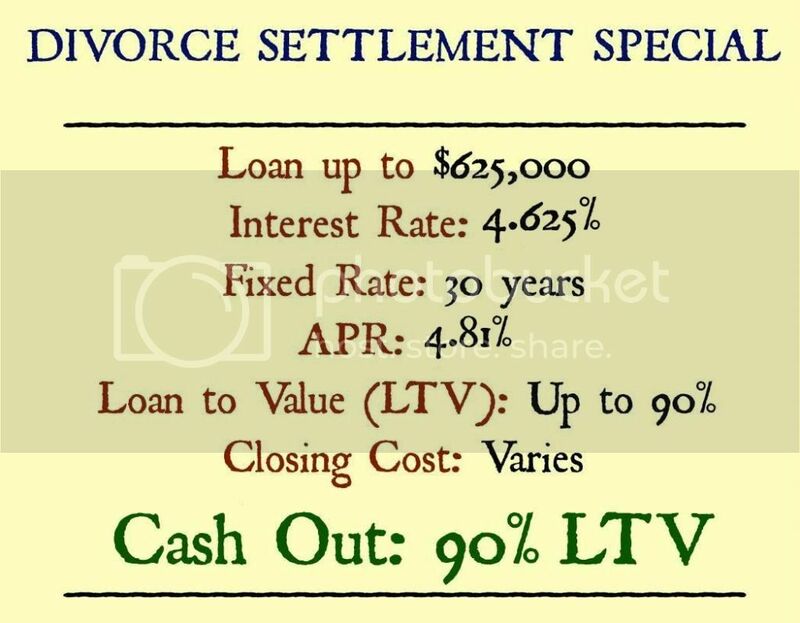 *Divorce settlement special. Cash-out is usually up to 60% LTV. Interest rates are subject to change without notice and do not constitute a commitment to make any loan at any specific rate. We found a different solution. Our lender did not consider it as a cash-out because of the divorce and we were able to close the loan with a low 30 year fixed rate. To help couples find tailored mortgage solutions, please contact Manny Kagan.